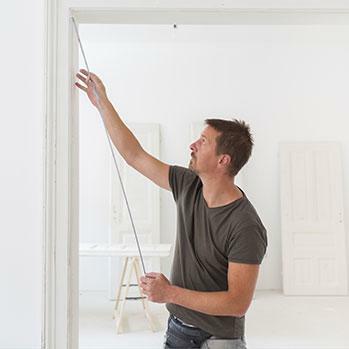 Bringing the outdoors in, with folding and sliding doors, is a home improvement trend that’s taken the property market by storm. Whether they’re sought after to flood a living space with light, to frame a fabulous view of the garden - or a bit of both - homeowners show no signs of tiring of their statement style. Open plan living is becoming more and more popular. However for some people, it’s still important to be able to create ‘zones’ within a space – especially in busy family homes. 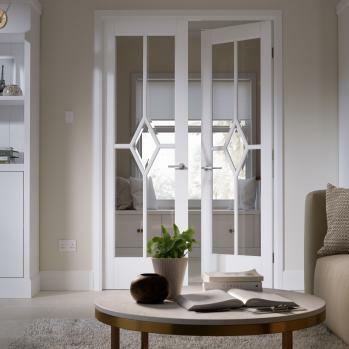 Double doors are a great way to enjoy the best of both worlds. You can choose whether to have one or both open, or to close off an area. 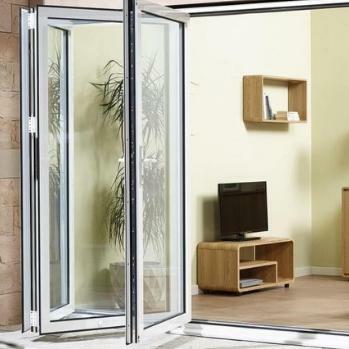 With glazed doors to let maximum light through, or solid doors when privacy is a consideration. 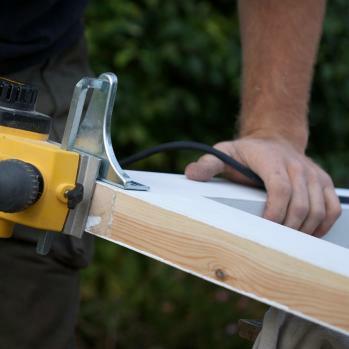 Hanging new doors in your home isn’t a job you do everyday, and it may sound like a tricky DIY task. 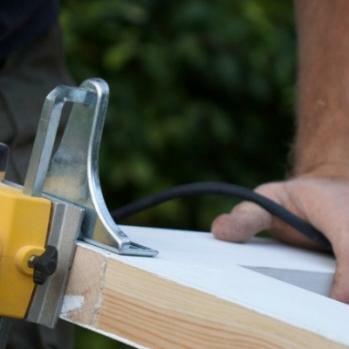 But with a few key pointers, you can get the measurements just right, ensuring you have well fitted doors. 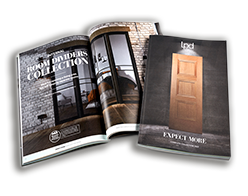 So whether you’re giving your home a fresh look – with contemporary oak, cost-effective laminate or white throughout – or replacing an existing door, our How To guide is here to help. 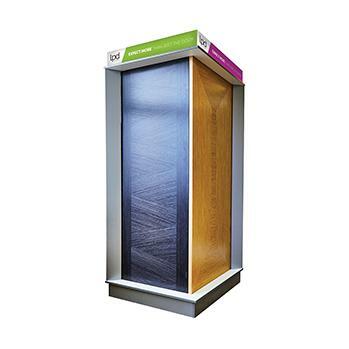 So what could be better than introducing a display stand, to showcase our collection in a stylish, eye-catching and interactive way?